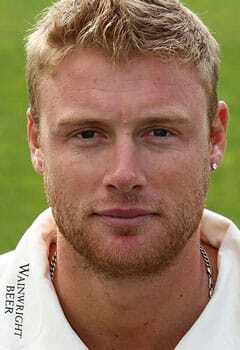 One of England’s most famous former cricket players, Andrew ‘Freddie’ Flintoff MBE spent 20 years at the top of the professional game playing 79 test matches and 141 ODIs for his country. During his career, he played domestic cricket in England, India and Australia becoming a household name all over the world. Freddie’s profile rose significantly on the back of England’s 2005 Ashes victory, the first time England had won the competition since 1987. 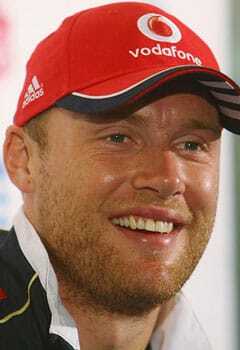 In 2006 he was named captain of the England team for the first time during a test match against India. He has remained in the public eye featuring on shows such as A League of Their Own, Let’s Get Gold , Cannonball and All Star Musicals. 1995 - Makes debut for Lancashire. 1998 - Picked for the England team for the first time. 2002 - Scores his first Test century for England. 2005 - Plays a key role in England's historic Ashes victory. 2006 - Becomes England captain for the first time. 2010 - Announces his retirement from the game. 2012 - Moves into professional boxing. 2014 - Returns to cricket. 2015 - Retires from cricket for a second time. 2018 - Continues to appear on a range of TV shows such as A League of Their Own. 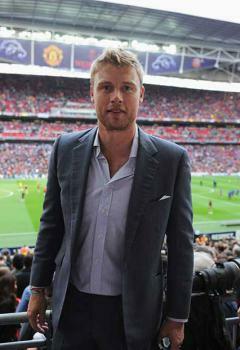 A cricketing legend for both Lancashire and England, Andrew ‘Freddie’ Flintoff MBE is one of the most recognisable British sporting figures. The 2005 BBC Sports Personality of the Year winner was a world class all-rounder excelling with both the bat and the ball. Starting out at Lancashire in 1995, he made his England debut in 1998 in a Test match against South Africa but suffered from injuries and a lack of consistency in his early days that made many fans of the sport question if he could make it at the top. However, he soon proved his doubters wrong. In 2002 he scored his first ever Test century and started establishing himself in the international setup. By 2004 he was a regular in the England team and was named Wisden Cricketer of the Year. 2005 was a triumphant year for English cricket as the country reclaimed the Ashes for the first time since 1987 and Freddie played a vital role in this win. In the final Test match he hit a century at Trent Bridge which went a long way in achieving victory. A year later he was named England captain for the first time, and frequently appeared in the biggest matches in world cricket. On medical advice, he retired from all forms of the game in 2010 but was back in 2014 returning to the crease with his beloved county side Lancashire. 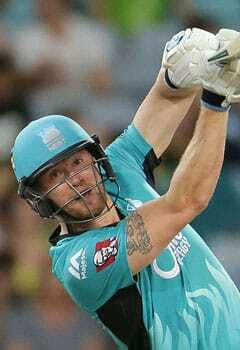 He then signed for Australian team, Brisbane Heat , where he participated in the prestigious Australian Big Bash competition before retiring for good in 2015. Australian audiences fell in love with Freddie’s good-humoured nature and he won the first ever series of the Australian version of I’m a Celebrity… Get Me out of Here! He has also become one of the UK ’s most popular television personalities, appearing on a whole host of shows including as a team captain on A League of their Own. As well as this he has presented ITV gameshow Cannonball and has a regular radio show with his friend and former footballer Robbie Savage. Always looking for new challenges, he has recently moved into acting appearing on BBC One drama Love, Lies & Records and touring stage show Fat Friends: The Musical. 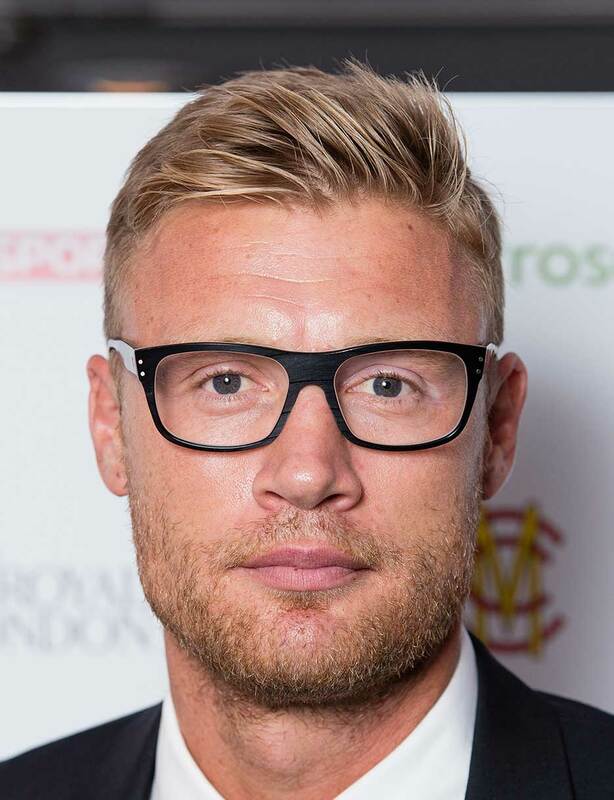 Over the years Andrew ‘Freddie’ Flintoff MBE has contributed to a number of brands including Jacamo , Sony and Specsavers with his popular public persona always offering a real boost to every brand he associates himself with. Always demonstrating his fantastic sense of humour, he is always great fun to work with, and thoroughly professional in all his commercial dealings.